We are a group of foster families that take ferrets in need into our homes. We do not have a shelter building or location. We meet up at several Petsmarts in the Satin Louis area twice a month for an adoption event. We are staffed by volunteers. We have no full time volunteers or paid staff. Through the doors of our shelter, and many like ours both ferret and non ferret pass a variety of animals and personalities. Some loved, some abused, some from homes where the former owner had no clue on care but purchased the animal on impulse, just to find they cannot deal with the training. We are dedicated to finding loving, caring homes for every ferret. 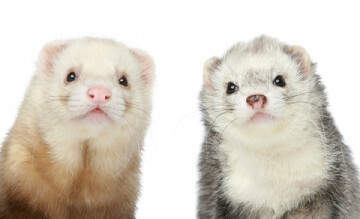 If a ferrets’ health or age does not allow for adoption, we care for that ferret until its natural death. We NEVER put a ferret to sleep because we could not find him/her a home. We will never split up a bonded group. Ferrets have been fixed and de-scented. Ferrets are also up to date on their shots. We turn no ferret away, no matter the health, age, or lack of training. Medical needs are met, and manners are taught. Here at FURRY Ferret Rescue, we believe that educating the potential pet owner is one of the most crucial things a shelter can do. This applies to both ferret shelters and other animal shelters. An educated pet owner can provide a safer, happier, and healthier environment for their pet, thus making both the pet and themselves a good match.